We review the state of current understanding of the potential for interference and interruption of service of wireless communications systems due to solar radio bursts. 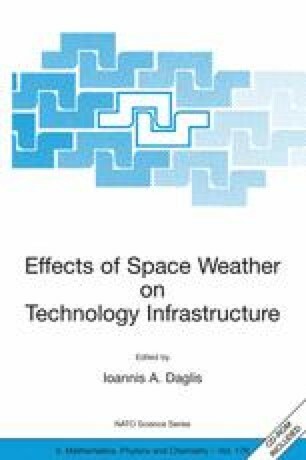 There have been several reported instances of an enhanced rate of dropped cell-phone calls during solar bursts, and the design of current base station systems make them vulnerable to problems near sunrise and sunset for antennas facing in the direction of the Sun during outbursts. It is likely that many cases of interference have gone unreported and perhaps unrecognized. We determine the level of radio noise that can cause potential problems, and then discuss how often bursts of the required magnitude might happen. We illustrate the range of radio flux behavior that may occur, in both frequency and time, with data from the Solar Radio Spectropolarimeter and the Owens Valley Solar Array. We find that bursts that can cause potential problems occur on average once every 3.5 days at solar maximum, but also occur at a reduced rate of 18.5 days between events at solar minimum. We investigate the rate of occurrence as a function of frequency, which is relevant for future wireless systems that will operate at higher frequencies than the present systems.